What Can Seniors Learn from the Home of an Ancient Tree? As you read this blog, glance outside your window. What do you see? Likely, it’s an array of green plants thriving in the summer’s heat. Right now, temperatures across the United States are averaging well into the 90’s—certainly not comfortable for people. Yet, for the plants, it’s paradise. They bask in the sun, they blow in the breeze, and they grow and grow and grow in the summer’s heat. But how can something so beautiful thrive in such harsh conditions? The answer is simple, really: the plants grow because they are at home. And some of them have been growing for a very, very long time. The Methuselah Tree, a bristlecone pine in eastern California, is thought to be some 4,844 years old. It has weathered dangerous storms, triumphed in the toughest of times, and continues to stand as a living testament to perseverance. And like many seniors, it continues to grow. Methuselah continues to grow because it is at home: far from civilization, in the Ancient Bristlecone Pine Forest of California’s White Mountains. He’s thrived there for millennia, but like many seniors, even Methuselah has a caregiver. Today, the U.S. Forest Service takes care of the tree’s grove and monitors its health—just like Preferred Care at Home caregivers provide compassionate care for seniors and the places they each call home. Like Methuselah’s caregivers, Preferred Care at Home knows just how important caring for a senior’s home really is. “It’s where they feel most secure and safe. And it’s where memories are cherished and stored.”, says company founder Frank Guerrieri. But home is not just a storage vault for the past. Home is a legacy for the future. 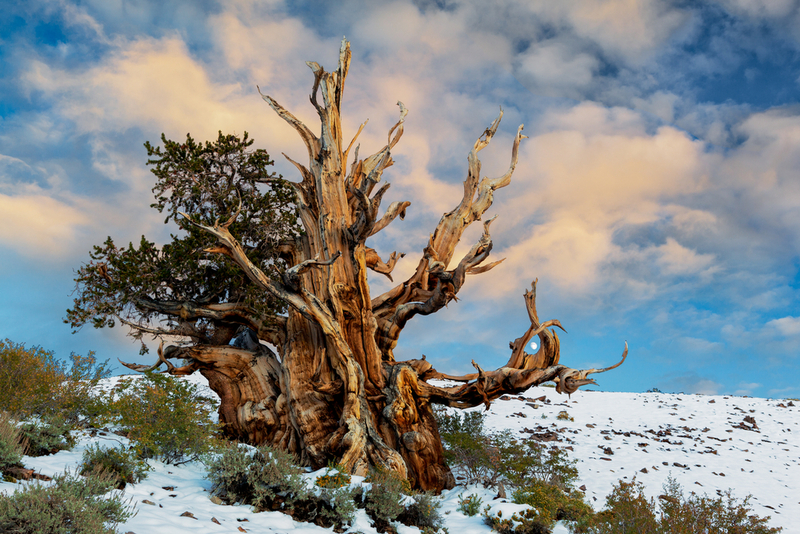 All around Methuselah thrive the younger offspring of this ancient tree. Some of them are ancient themselves, but each of them has offspring of its own sprouting up around their homes—these are grandchildren, legacies for the future. So the next time you take a look outside, take a look at the trees. If you begin to feel old, think about Methuselah; and if you begin to wonder the important of home, think of its grandchildren. Because of that one tree, in that one home, four thousand years ago, a great grove has grown; and like many homes it’s a beautiful thing to behold.